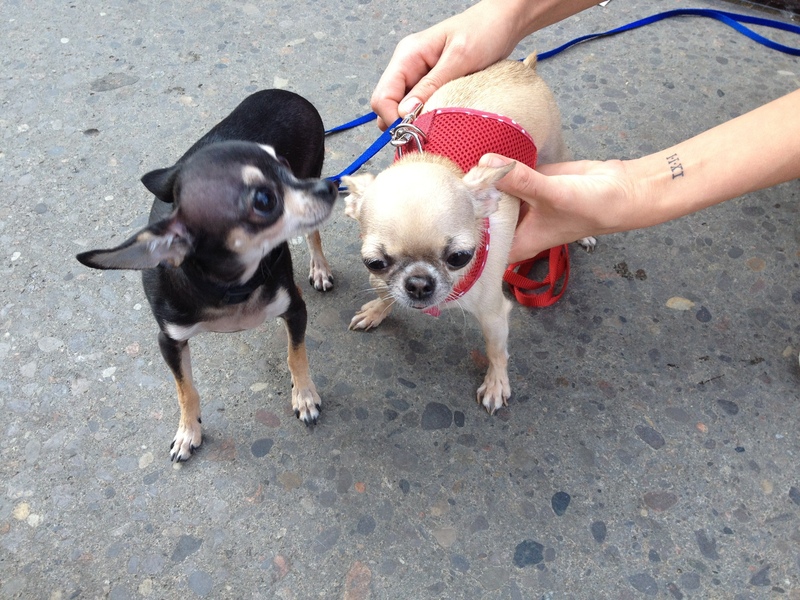 Today I decided to go down to Woofstock. I felt really bad about it, but I decided to only take Bruce along with me. My reasoning was that it was a really hot day today, I don’t have air conditioning, and I didn’t want Zoe to overheat. It’s really good that I left Zoe at home, because I was on the highway and ended up getting a flat tire. If she was with me, she would’ve really been overheating in the car while we waited for the tow truck. Here’s a video of poor Brucie in the backseat with all the windows open putting up with all the wind. 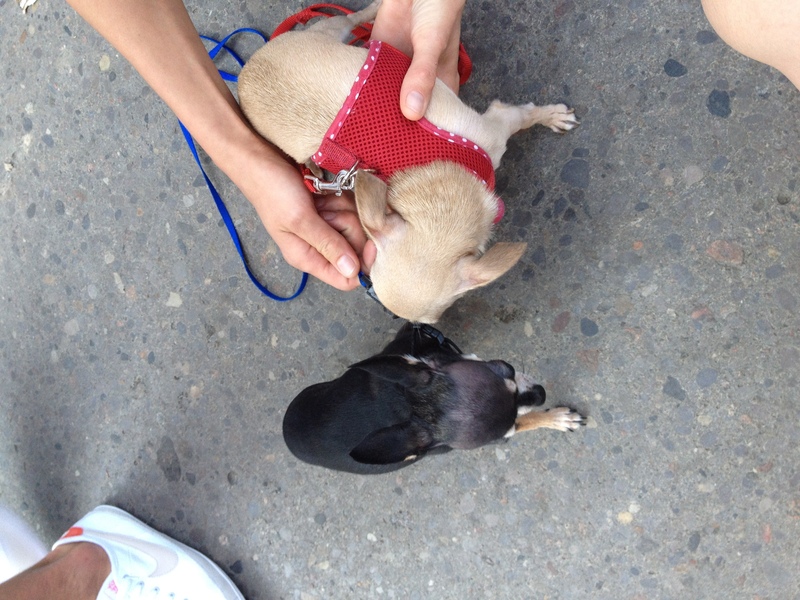 There was also a very small chihuahua downtown that we met. 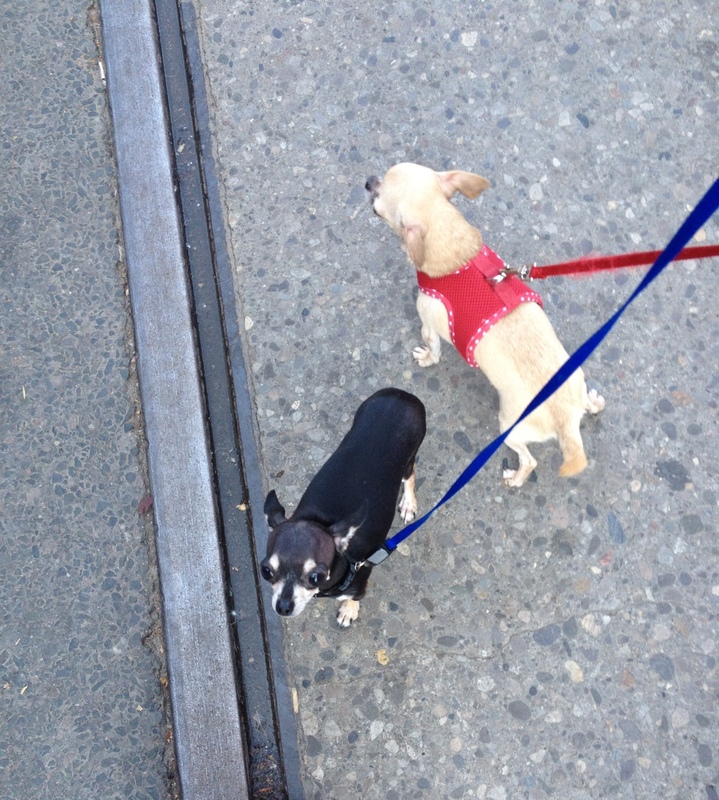 I’ve never seen another adult Chihuahua the same size as Bruce. She looked like she was a little bit shorter than Bruce, but Bruce wasn’t quite as long and he was skinnier as well.